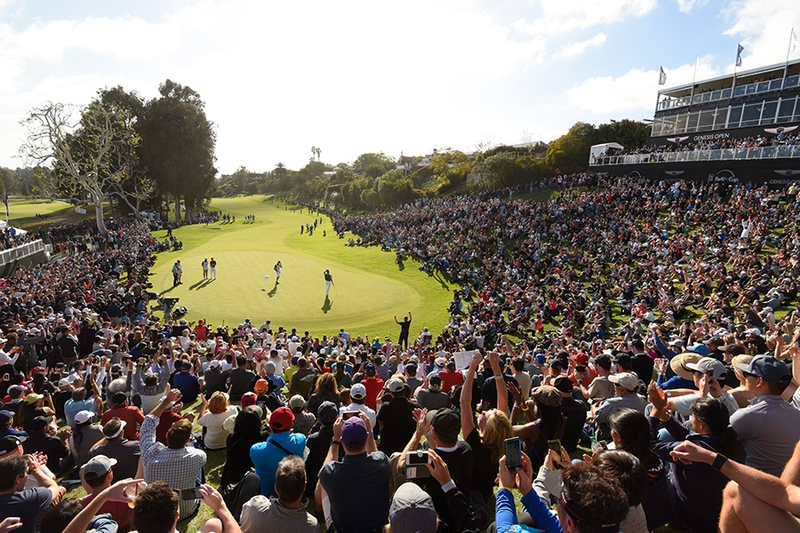 Experience a sporting event reimagined with golf’s biggest stars at the Genesis Open, a week-long tournament at The Riviera Country Club. Enjoy preferred rates on Clubhouse tickets to the Genesis Open and parking at Palisades Village. Includes a chauffeur-driven ride to and from the Genesis Open and special offers from our restaurants and retailers. Enjoy preferred rates on parking at Palisades Village, a chauffeur-driven ride to and from the Genesis Open, and special offers from our restaurants and retailers. *Price may increase based on ticket choice. $79 each for day specific, $89 for any use. May purchase additional tickets with package. Clubhouse tickets includes access to the grounds and to all the public areas of the clubhouse including the lounge style setting in the ballroom and expansive outdoor deck.